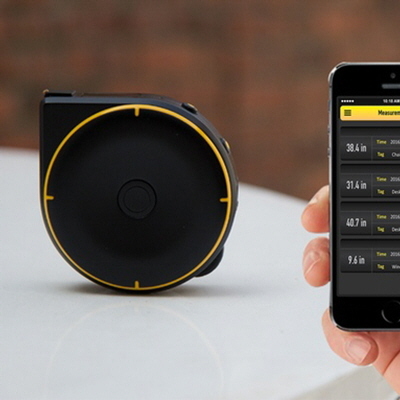 Among the tools that won Red Dot Awards this year were a respirator and particle mask. They perform similar functions but are miles apart in terms of their technology. 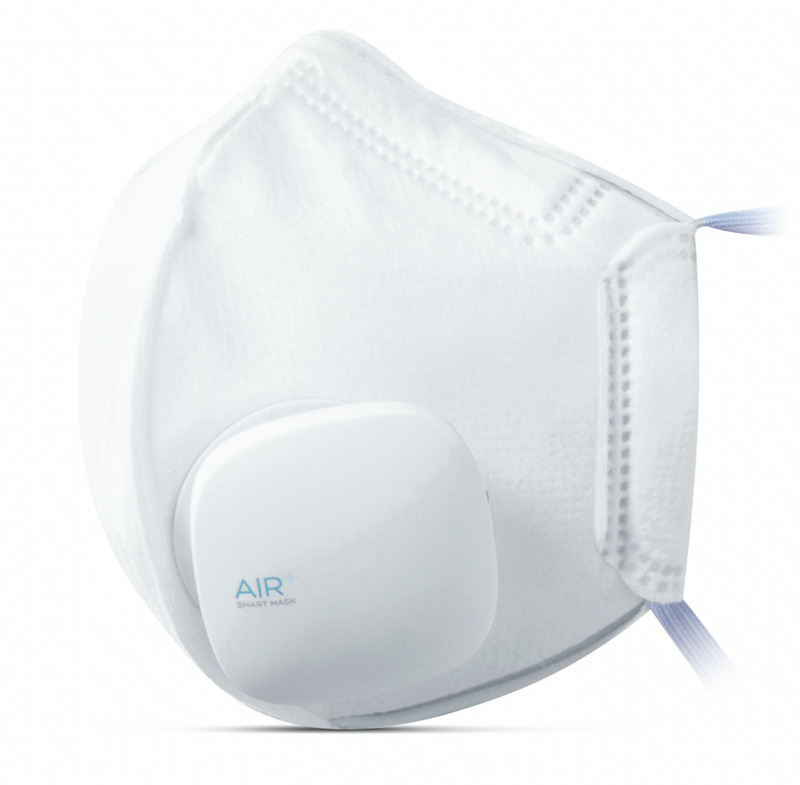 The AIR+ Smart Mask is a dust or surgical mask—with an unusual extra. 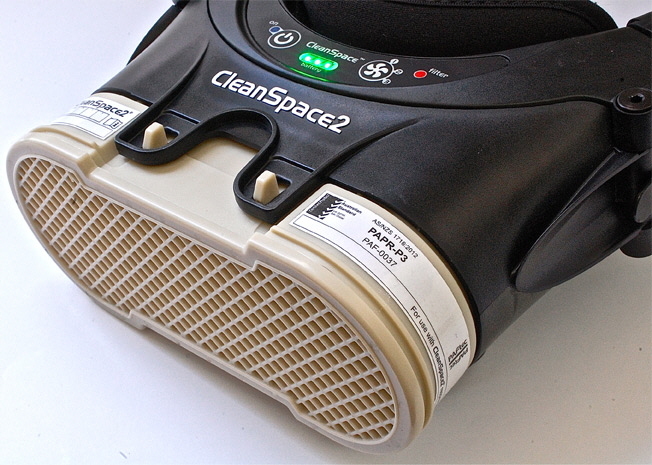 The CleanSpace Respirator is an industrial-grade personal protective device with roots in the medical equipment industry. Both are incredibly clever designs. This fabric face mask was categorized as a tool but could just as easily been listed under "life science and medicine." No matter; it's still very cool. 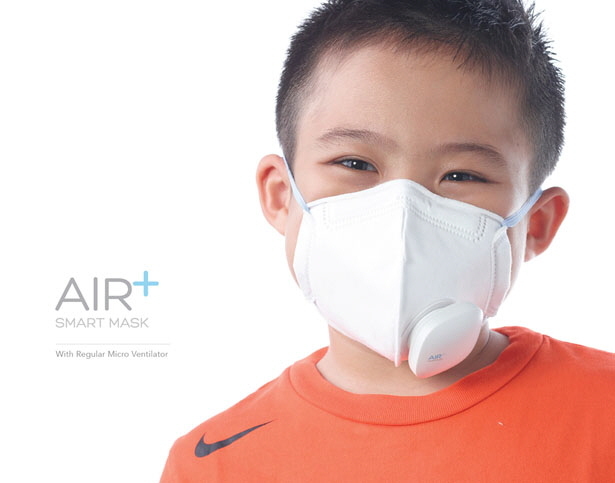 Designed in Singapore, it's being pitched to people who work around dust or wear surgical masks in public, a common practice in Asia, where people wear masks to filter out pollution and prevent the spread of communicable diseases (and also to protect themselves from the cold). 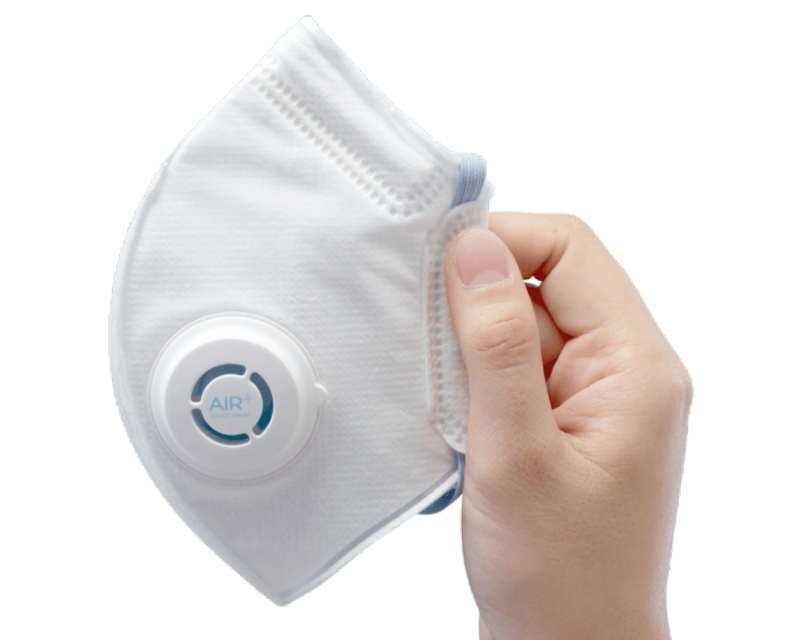 By itself the Smart Mask differs little from common N95 dust masks. When the wearer inhales, air is pulled through and filtered by the fabric. But instead of passing out through the fabric when the wearer exhales, it exits through a one-way valve on the side of the mask. The valve contains a rubber flapper and is similar to those found on respirators. The valve reduces the likelihood that air will leak out from the top edge of the mask and fog the wearer's glasses. This is not the first or only fabric mask to have such a feature. But what follows is, so far as I know, a first. 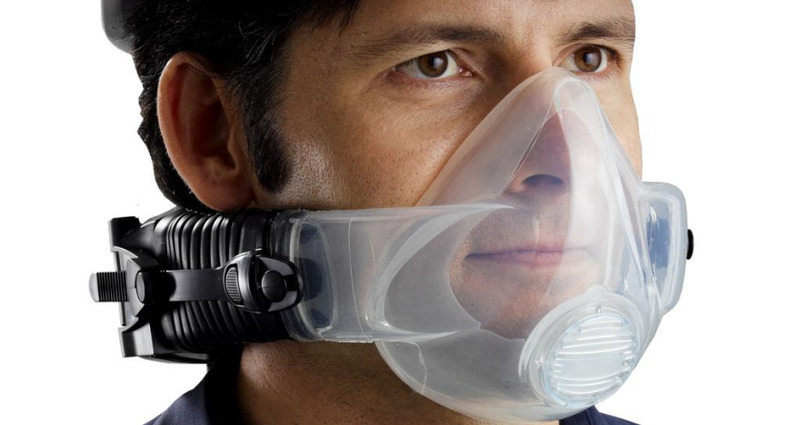 The mask can be equipped with a micro-ventilator, a fan module powered by a lithium-ion battery. The module clips onto the exhaust valve and functions as an exhaust fan. Intended to make the mask comfortable to wear for long periods of time, the fan pulls hot stale air from inside and exhausts it to the exterior—no more sweating into the mask or re-breathing the same air. The module can be removed and the battery recharged by plugging it into a USB port. 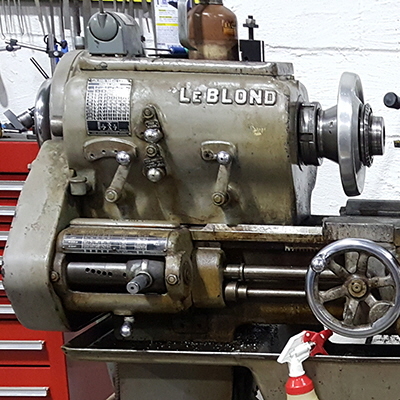 Equipped with a simple on/off switch it is said to run 2.5 hours per charge and can be fully recharged 500 times before needing to be replaced. The mask itself is good for about 8 hours of use. 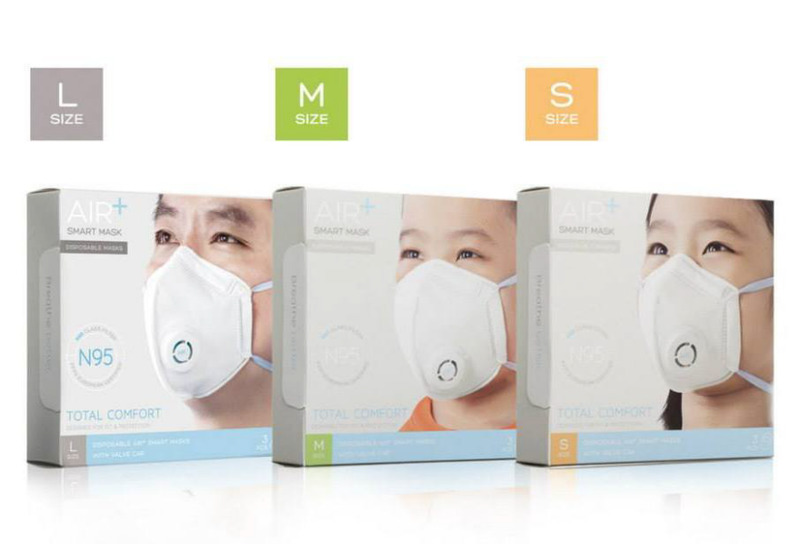 Smart Masks come in multiple sizes to better fit individual faces. They're designed with Asian facial proportions in mind—a plus in the Asian markets where the product is currently available. 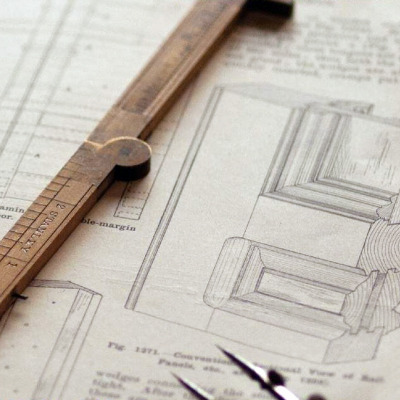 There's no reason to think these could not be adapted to fit people in other parts of the world. 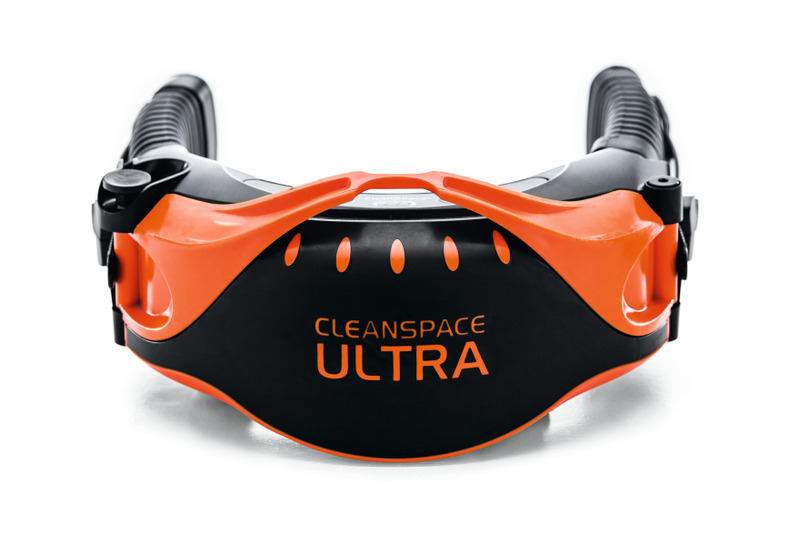 One of several models from the Australian brand, CleanSpace, this modular respirator consists of a silicone mask that connects to a power unit that rests on the wearer's neck. 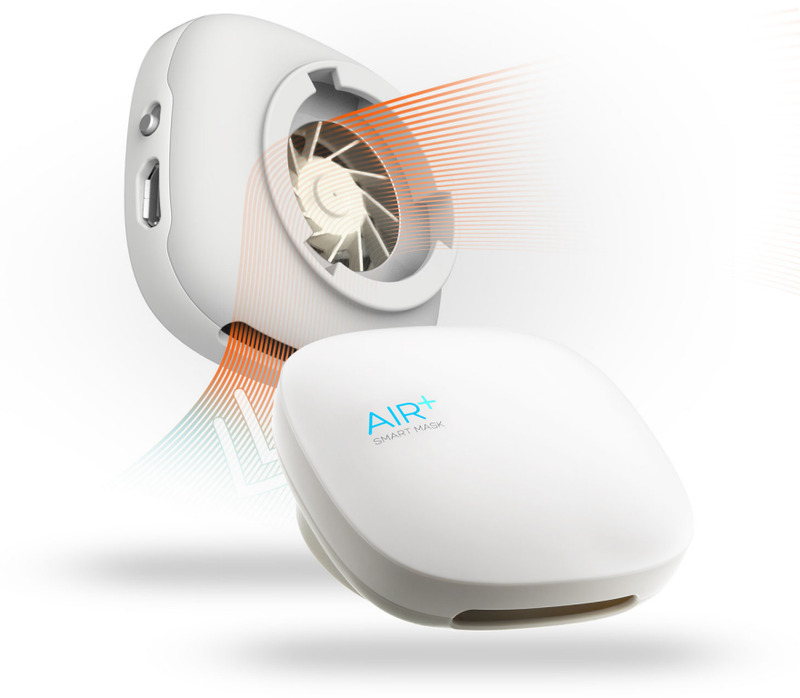 The power unit contains a fan, rechargeable lithium-ion battery, electronics, and a replaceable particle filter. The power unit pulls air in, filters it, and feeds it to the mask through the hollow "arms" that hold them together. 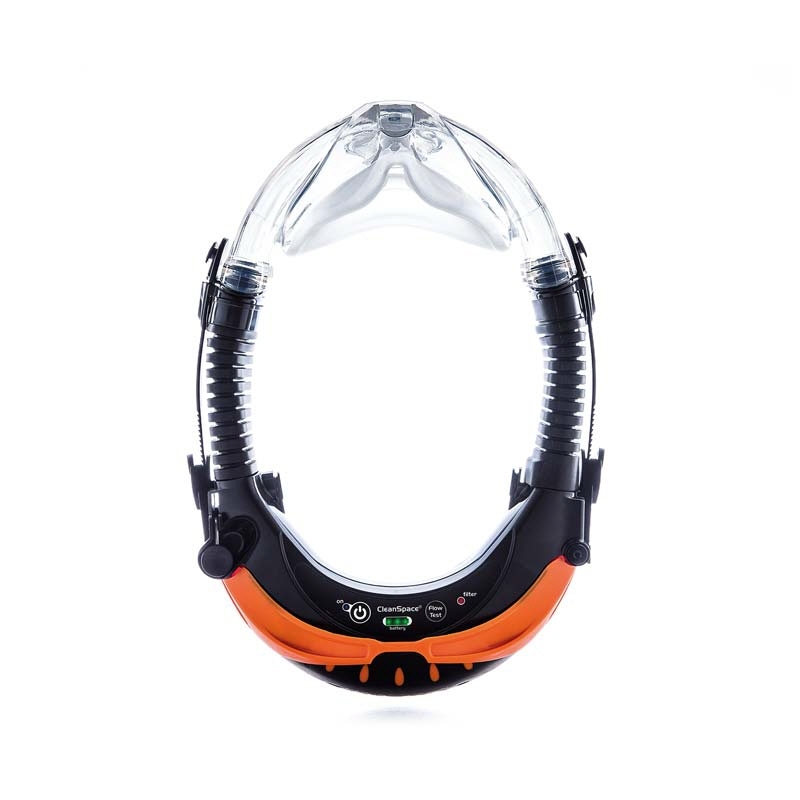 Stale air passes out through a one-way valve on the front of the mask when the wearer exhales. 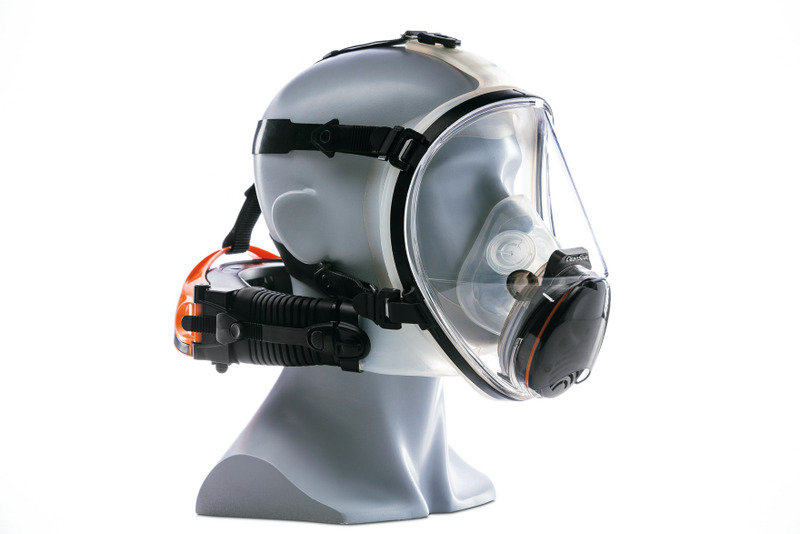 Designed for use in industrial and medical settings, the respirator accepts a variety of filters, including ones for use around infectious agents and for asbestos removal, chemical handling, and lead abatement. The filter above is installed in an optional adapter. It would be hard to breathe if the fan ran at constant speed so it changes speed (and pressure) in response to the wearer's breathing. Sensors and an algorithm tell the electronics to make the fan run faster when the wearer inhales and slower (or off) when he or she exhales. This is the same technology used in the automatic CPAP (continuous positive airway pressure) machines used treat people who suffer from sleep apnea. The power unit can be used with different size masks. Masks can be swapped out when dirty or worn—and used with an optional full-face shield. That device on the front of the face shield is not a filter; it's a mechanism that amplifies speech so the wearer can communicate with others nearby. 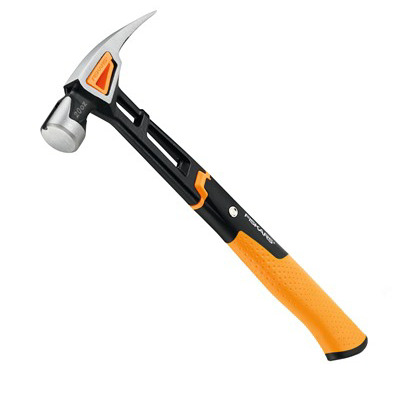 Apparently there's profit in making "dumb" tools "smart"